Looking for a practical gift idea for a family member? Consider a new clock, watch or signaling device. alarms. Save $15.99 - $33.99 depending on model. University of Arkansas, who departed us. Deaf at the age of 12 he did not use ASL. questions from students in his classes. Gallaudet football and wrestling great. involved with the relay fraud? turned down because of bad reputation. turned down. 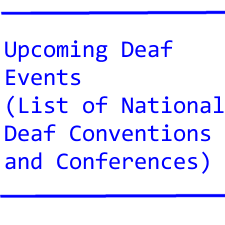 Yes, DeafDigest is that fussy. go towards housing for deaf senior citizens. 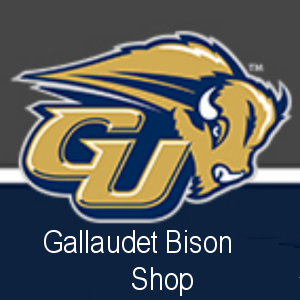 the presidency of Gallaudet University. Blockbuster and Redbox is getting louder and louder. football program at Stevenson University in Baltimore. * Prepare and set tables for lunch activities. * Take orders and serve food. * Act as expeditor for keeping food service timely and efficient. * Beverage and soup service areas are kept clean and stocked. * Maintain the floor by keeping it clean and debris-free. E-mail to request for the application form. SHOP EARLY AND SAVE BIG IN NOVEMBER! And here's a gift for you too! FREE GROUND SHIPPING for orders over $50.00! it is called boarding school. IF MONA LISA WAS DEAF? prevent the person from getting too tired. and her "smile" is because of her tired look. day to prevent Mona Lisa from getting too tired! Ken Harrenstien is helping out with this project. Will we be having captioned eyeglasses? He was deaf, lost his hearing as a child. Holiday SALE at UnitedTTY.com is happening right now ! SHIPPING....and a BEST PRICE Guarantee ! because he does not know the French Sign Language. do they understand what you are signing? What advantage is there to having a captioner who possesses more speed? per minute and the captioner's top speed is 225, something has to give. relatively unimportant word or to paraphrase a thought. verbatim the captioning output will be. internet contacts have never met you in person! dyslexia, are already struggling with hearing losses? Q. Why is ADA regulations so difficult to understand? that do not agree with each other on ADA regulations. entertainment and a good cause." I was asked---Did you see the butterfingers? But she actually said--Did you see the bird feeders? has an immediate opening for a Clinical Therapist. needs residents are hearing with limited verbal repertoire. - Fluent in American Sign Language required. Competitive salary and excellent benefit package. students. The department of Admissions at NTID is seeking a Director. and 40+ student workers over a 4-6 week period each summer. planning and carrying out Outreach activities each year. 2. Proficiency in American Sign Language required. 3. Strong organization and time management skills required. in keeping with the mission of the Regional Center. Resources Office hours are 8:00 a.m. to 4:00 p.m. Monday through Friday.